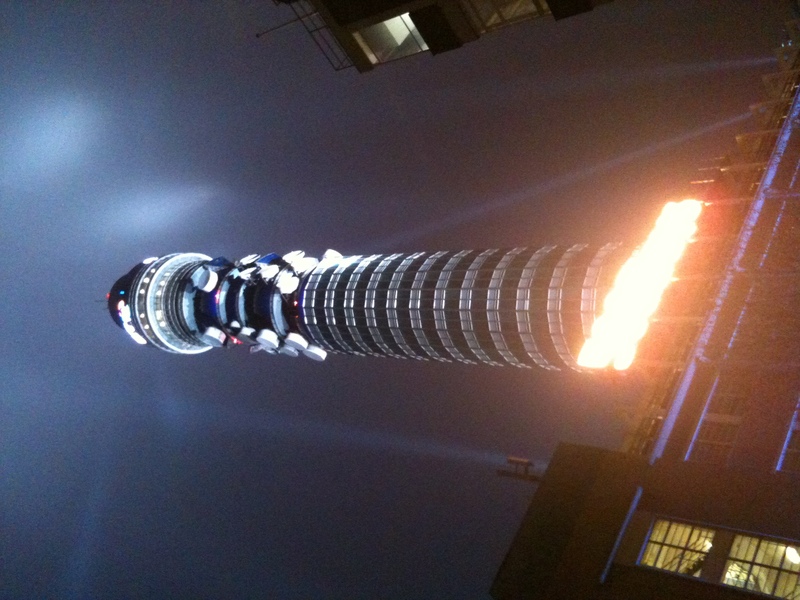 Over the past couple of evenings people looking up at the BT Tower would have seen a light show complete with laser beams. The Tower will again be lit up tonight from 6pm as an official celebration of 500 days to go to the London 2012 Olympics is held. There will also be a fireworks display. BT is an official partner of the Olympic and Paralympic Games. On Monday night the Tower was bathed in light as the display was being tested. Elisabeth Edvardsen who works in Fitzrovia at a digital agency called Sutro Digital took this picture as she passed by. Elisabeth who is from Norway has lived in London for the past seven years. She her own blog where she writes about living in London. “I love exploring the city I live in; discovering hidden gems and enjoying what it has to offer,” she says. 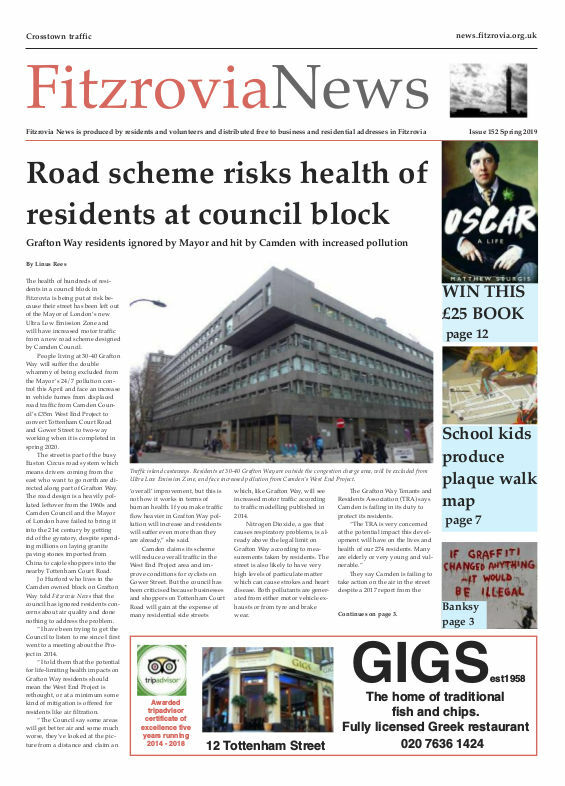 Please help Fitzrovia News by making a donation. They would do better to celebrate something more worthwhile than these expensive and disruptive “games”. At a time when across the whole of society we are suffering painful cuts which particularly affect that society’s most vulnerable members, it is completely insane that we would be hosting an event like this, run by an Olympic Committee that expects to be accommodated, fed, entertained and transported in luxury, all free and gratis, while making millions from advertising. Why would the “host” celebrate making itself a victim to a parasite? I was sickened by yesterday’s VIP Party at the BT Tower – such decadence; the firework display alone (which lasted 40 seconds) cost £30,000. It was actually quite an understated affair actually, thoroughly enjoyed it though! Hey SilverTiger, I think you are so so right. We should all sit in a darkened rooms with a charcoal burner going slowly slitting our wrists to the Spice Girls Greatest Hits LP. Yes this is as ridiculous a proposition as you suggest. The Olympics is the time that the world focuses in on a single country and sees it as it’s best (see London 1948 or Beijing 2008). It encourages massive inward investment & champions sportsmanship, fair play & fitness something society needs during tough times.